Because of her love of nature, the great outdoors, Earth’s bountiful gifts of natural resources, clean air and water, animals, marine life, wild life and all plant life “Lexie” Alexandra May Hunter has been an environmental activist for 40 years. She began doing volunteer service in her hometown community of Barrington, Illinois when her children were young where she acted as The Environmental Awareness Director for her children’s school district. 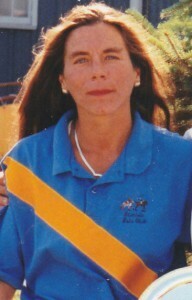 Ms. Hunter is also a published photographer and writer & master equestrienne who now resides in Phoenix, Arizona. Alexandra became aware of the currently in effect geoengineering program approximately 3 years ago and she set to devoting all of her time and energy to conducting an in depth thorough fact based analysis and research of the entire scope of the history, chronology, laws, science and technology, engineering, congressional oversight and removal of such oversight, the United Nations and countries participation, the military industrial complex, the banking system, the past & current day political system, non-governmental organizations (“NGO”), private foundations, entities, trusts and individuals funding the many facets of the program as well as all of the principal persons involved with regards to the global implementation, operation and cover up of the covert program. After attending the first anti-geoengineering conference in Los Angeles, California in August of 2012 where she initiated, built and has maintained relationships with all the content experts on this matter, she has devoted her entire life, attention and abilities to this dire global survival matter. When you get up in the morning to partly cloudy skies, you may want to ask yourself if those white puffs are really clouds. Alexandra May Hunter tells us what they are and why we should be interested. -Why so many chemtrails in AZ? Could it be to reduce the aging population? -Where does Monsanto figure into the picture? -What’s in the chemtrails and why should we be alarmed? -Who is behind this sinister agenda and will they ever be held accountable? Thank you for this great show and Alexandra is really doing a good job of waking the masses. She is telling the truth. I watch the spraying everyday in Los Angeles. I truly think Alexandra was the most important guest you have ever had on your show. Alexandra answered a lot of questions. I am outdoors most of the day and witnessed the storms moving off to the east so many times last winter. They chemicals did a good job moving our water away. So many people don’t have a clue. Look up folks, look at what is happening to us!! !